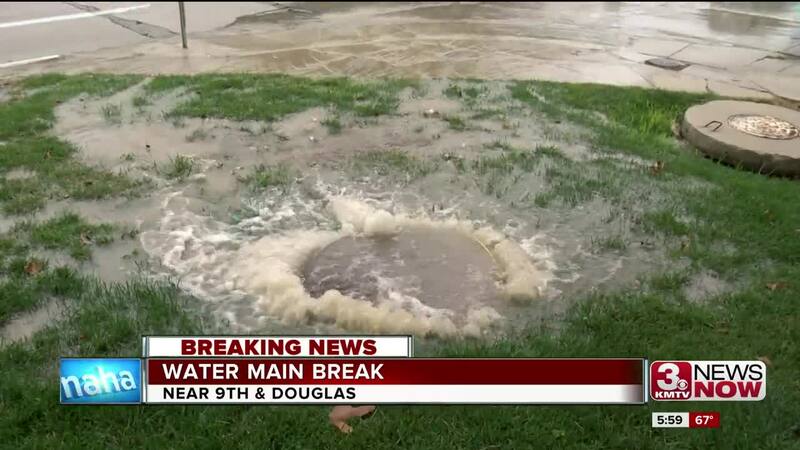 A large water main burst near 9th and Douglas late Tuesday afternoon, sending water rushing into the street. Just ahead of Tuesday's evening commute, Omaha Police routed traffic around the area and restricted the westbound Interstate 480 ramp to Capitol Avenue. 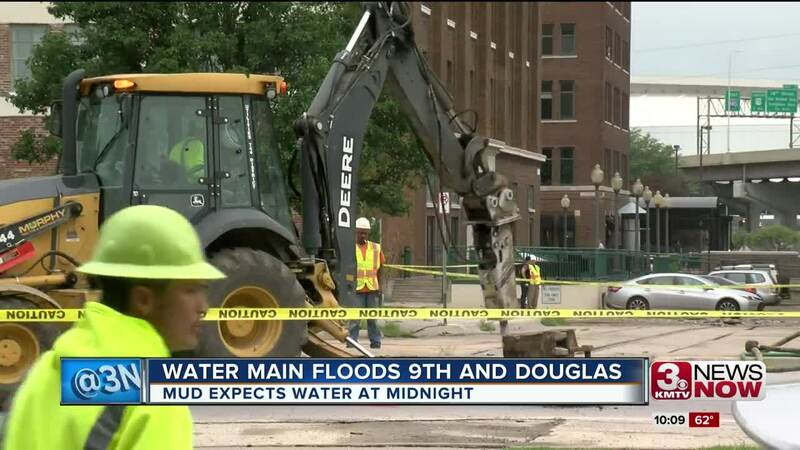 Metropolitan Utility District workers shut off water in the area to make repairs on Douglas and Capitol between 8th and 9th streets. M.U.D. said they expect service to be restored in the area by 10 p.m., but later said it might be closer to midnight before the water came back on. Crews were also inspecting the safety of nearby roads. It also left some living downtown planning for a night without access to water. Some guests at the Courtyard by Marriott hotel decided to find other hotels. Residents at Beebe + Runyan lofts planned for a night ahead without running water. Many like Renee Schwartz were forced to make late dinner arrangements or a grocery store run for what could be a long wait until the water is back on. "Earlier they were saying 10:30, but I don't know how realistic that is so it's better to be prepared," Schwartz said. M.U.D. crews shut off water around the 5 p.m. rush hour to make repairs. The same thing happened earlier this year around the block on Dodge, forcing crews to shut off water. Resident Tom Syster said the lofts were left without water for several days. "In the process of fixing it, they forgot to tell us to open up our vents," he said. "So that was another day and a half because that was over a weekend." Some restaurants in the area were unaffected Tuesday, allowing some to leave the house on a chilly Tuesday evening.